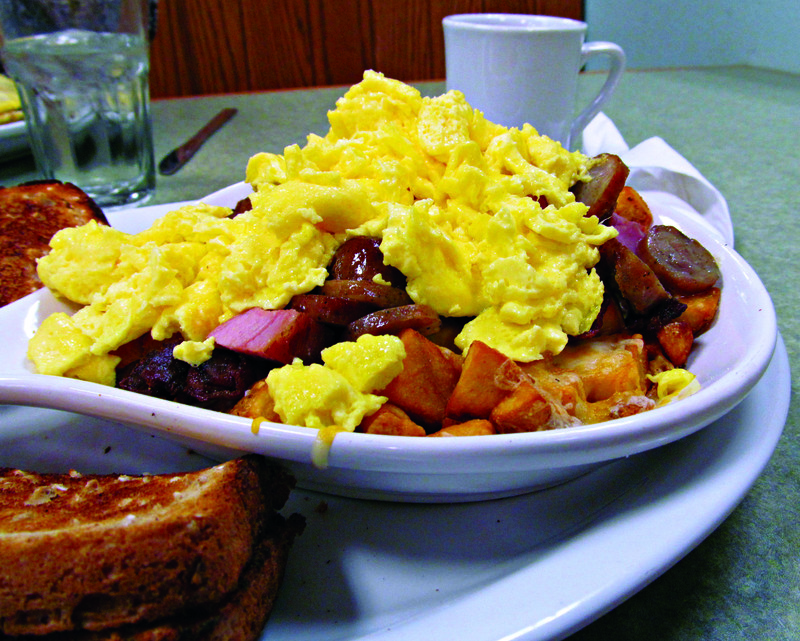 Early Edition, a breakfast restaurant in Manhattan, Kansas is one of those places that people either love or hate….just check out the reviews. Personally, I like it. If you want a good traditional American breakfast, this is the place. In fact now they have two places. One of Kimball Avenue in the Candlewood Shopping Center ( where my wife and I regularly ate while we were in college) and a new location in southeast part of town near K-Mart on . E. Poyntz. On a recent visit, I enjoyed the Wildcat Skillet. The dish has all kinds of pork, including ham, bacon and sausage. When I included coffee and toast, it was more than I could finish! They also serve up all the other breakfast favorites, like omelets, pancakes, etc. The west location is a favorite of many Manhattan residents and the east location is very convenient to those staying in area hotels. It sure beats eating at the chain breakfast restaurant down the road. Try it next time you are in the neighborhood and give it your own review!